Like with stocks, there are two very different markets for the trade of derivatives. An investor may seek to obtain exchange traded derivatives or over the counter derivatives. Exchange traded derivatives are financial securities that are traded at an exchange, such as the New York Stock Exchange. At an organized exchange, derivatives that are exchange traded are governed by a set of rules and regulations. On the other hand, over the counter derivatives are often left unmonitored, and inexperienced individuals that purchase these types of securities may end up losing funds to issuers. There are many potential benefits associated with exchange traded derivatives, as an exchange makes it easy to keep track of this type of derivative and knows who maintains financial obligations to whom and who can help guarantee that neither investors nor corporations disregard their financial responsibilities. Futures contracts are very important types of exchange traded derivatives, especially for investors who purchase a large quantity of stocks. Often, the concept of futures is difficult to understand and it, therefore, helps to explain exchange traded futures in simple terms. For instance, a popular and growing bakery company will need to purchase an extensive quantity of sugar in order to continue baking desserts and operating productively. However, like all commodities, the price of sugar constantly rises and falls. If one year from now, the price of sugar has increased sufficiently, the baking company will be required to spend more money than typical on this baking necessity. If the value of sugar falls, then the sugar cane producer selling this commodity to the bakery will not make the profit that he/she anticipates. In order to protect both parties, they may choose to enter into an exchange traded futures contract. Both the producer and the buyer will agree on an acceptable price for a specified quantity of sugar and on a designated date the bakery will be required to purchase the sugar from the producer for the agreed upon price. 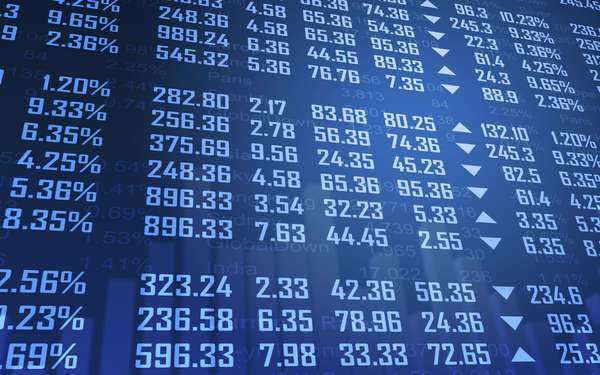 Exchange traded futures contracts function in a similar manner for stock shares. Two entities, often a company and an investor, will develop a legal agreement governing the sale and purchase of a designated quantity of stock shares for a specified price on a certain future date. These types of exchange traded derivatives help to protect both corporations and investors from substantial market fluctuation. Options are another important type of exchange traded derivative. Just as their name implies, options contracts provide investors with the choice to purchase a share of stocks for a specified amount of money. For example, if an investor wishes to purchase a share of stocks four months from now, but he/she fears that the price of the stocks will increase by then, he/she can seek to obtain an exchange traded options contract. The issuing corporation and the investor will develop a contract specifying the quantity of stock that he/she will obtain, the cost of the stock, and the date in which the investor must purchase the stock. The investor will generally be required to provide the company with a deposit for the option. When the option's date of expiration arrives, the investor will decide whether he/she wants to purchase the stocks at the agreed upon price. If the price of the stock has dropped, the investor will not be obligated to adhere to the option, and he/she may choose to purchase the stock for the lower price.